SAIC Motor and MG : Setting a precedent for FGA’s ailing Alfa Romeo brand? 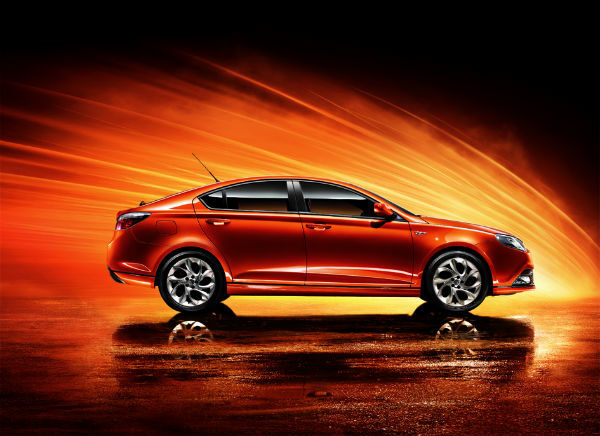 MG6: A vitally important car for the future of the marque in Europe, as well as China. Alfa Romeo and MG – two of the Automotive Industry’s most historic and iconic, but often troubled, sporting marques – have much in common at the moment. The two brands have probably the most active and dedicated global Owners’ Clubs networks of any OEMs and, while MG enthusiasts have just been celebrating the marque’s 85th Anniversary this year, Alfisti will be celebrating Alfa Romeo’s 100th Anniversary in 2010. Alfa Romeo and MG have both chosen to mark their respective anniversaries with the introduction of an important new model which will play a major role in determining whether or not each marque survives and thrives long enough to enjoy similar celebrations in the future. SAIC Motor launched the MG6 at last month’s Guangzhou Auto Show and Alfa Romeo has just confirmed that the new Alfa Romeo Giulietta (formerly referred to as the Milano) will be launched at the Geneva Motor Show next March. However, while a spokesman for MG Motor UK Limited has said that the MG6 ‘marks the start of one of the most exciting periods in the 85 year history of the iconic MG brand’ and recently appointed Sales and Marketing Director, Guy Jones, described the launch as ‘a milestone day’ for the marque, the comments made by Fiat Group Automobiles S.p.A. (FGA) CEO, Sergio Marchionne, about the current performance of Alfa Romeo which coincided with the Giulietta’s official World Preview last week, give cause for rather less optimism about Alfa Romeo’s future. 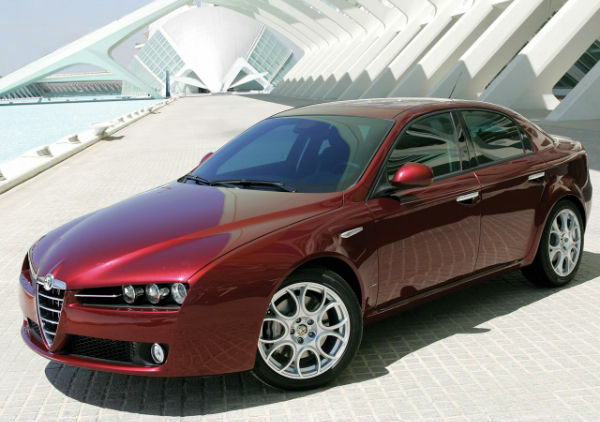 Alfa Romeo 159: a replacement may, if approved, use Chrysler's forthcoming LY platform. 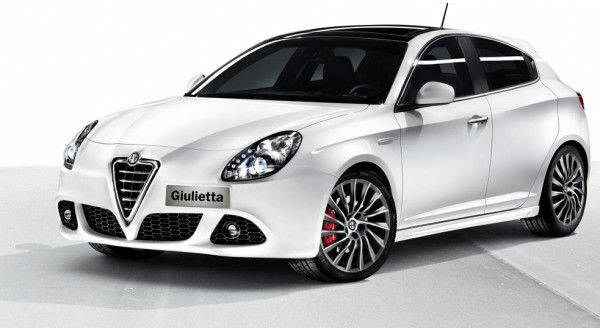 2) freezing investment in the brand after the launch of the 147-replacing Giulietta next March. The MiTo and Giulietta would be Alfa Romeo’s only up to date models but the 159, Brera and Spider would remain in production for a time. The D-segment and E-segment models referred to in 1) above would presumably utilise the latest, heavily modified, version of Chrysler’s rear wheel drive LX platform which was originally based upon the Mercedes-Benz W210 platform and has now, apparently, been re-designated as the LY platform. The LY platform reportedly underpinned the Opel/Vauxhall Insignia-sized Chrysler 200C EV Concept revealed at the North American International Auto Show in Detroit last January and a longer version will underpin the new E-segment MY11 Chrysler 300C. However, Sergio Marchionne went on record at the presentation of Chrysler Group LLC’s Business Plan last month as saying: ‘I won’t even tell you the amount of money that the [next-generation] 300 platform costs. You’d be shocked out of your pants, but it’s done and life will move on.’ Marchionne wants to build twenty one different Chrysler and FGA models on only seven basic vehicle platforms by 2014 whereas today the two companies have a total of eleven platforms. The average number of models per platform will increase from 1.9 to 3.0 and the number of vehicles sold per platform will rise from 125,000 to 305,000 so the savings on engineering and development costs should be significant but, even so, Alfa Romeo’s Design and Engineering Teams are likely to have much cost-cutting work to do in order to make a commercially viable business case for the option in 1) above. Edd Ellison of the usually well-informed, UK-based, ITALIASPEED.com website has consistently reported that the replacements for the Alfa Romeo 159, Chrysler Sebring and Dodge Avenger were to be based on an extended wheelbase version of Fiat’s Compact (formerly C-Evo) platform dubbed the D-Evo platform (1) but that plan no longer appears to be under consideration and so, by obliging Alfa Romeo to use the more expensive Chrysler LY platform for the 159 and 166 replacements, Marchionne seems to be loading the dice against Alfa Romeo’s medium to long-term survival. Sergio Marchionne’s announcement of the Strategic Review at Alfa Romeo has, of course, prompted much debate about the marque’s future on websites such as AlfaOwner.com. One AlfaOwner.com Forum member noted that many of the points made by Gavin Green in his recent ‘Saab: 1947-2009?’ Blog on Car Online were equally applicable to Alfa Romeo and several others have suggested that FGA should consider a third option: dispose of the IPRs to the Alfa Romeo brand and product range to an OEM with the desire and resources to establish the marque on a truly global basis. AROnline therefore wonders whether that ‘Chinese solution’ to Marchionne’s Alfa Romeo problem was discussed on an informal basis during Luca Ciferri’s recent interview with FGA’s CEO and reckons that there must, at least, now be a chance that Alfa Romeo will be sold to one of the leading Chinese OEMs. Ciferri does not specify which of the major Chinese OEMs might be interested in acquiring the Alfa Romeo marque but we believe that Guangzhou Automobile Group Co. Ltd. (GAC) may well be at the head of the queue. FGA’s parent company, Fiat S.p.A., and GAC have recently won approval from China’s National Development and Reform Commission for the JV which was signed in Rome on the 6th July, 2009 (2). Indeed, according to a report in the China Daily, construction work on the two companies’ new JV facility at Changsha, the capital of Hunan Province, began with a groundbreaking ceremony on the 26th November, 2009. 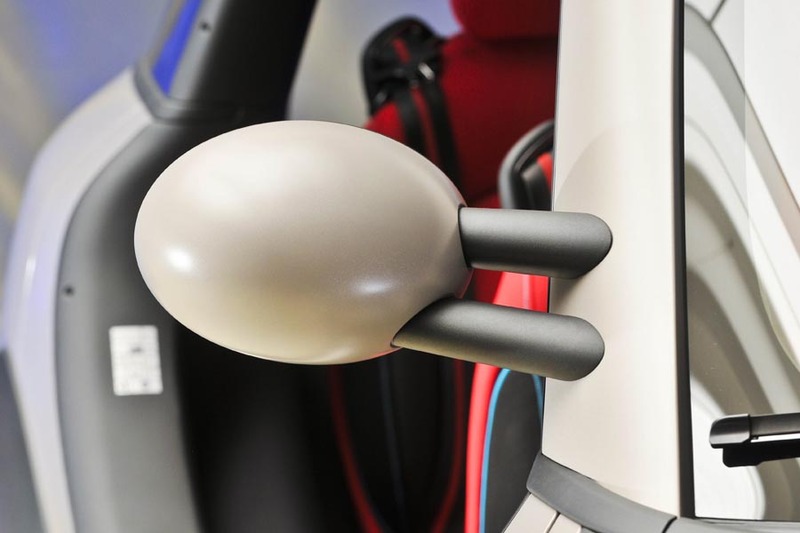 However, in addition to GAC’s JV with Fiat, the company has JVs with Honda and Toyota and also announced plans to build a full range of own-brand passenger cars back in 2007. The first such model will reportedly be based upon the discontinued Alfa Romeo 166 platform which FGA sold to GAC in September, 2008 (3) and should hit the Chinese market in 2010. A final point: Alfa Romeo UK and MG Motor UK’s Dealer Networks are currently of a similar size – Alfa Romeo has 49 Dealers and MG has 40 Dealers. However, while rumours suggest that MG Motor UK has plans to expand the Dealer Network to 100 outlets in readiness for next year’s UK launch of the MG6, Sergio Marchionne’s comments can only generate serious concern about the continuing viability of the Alfa Romeo franchise within an already radically reduced Dealer Network. Interestingly, Christopher Nicoll, the Alfa Romeo UK Managing Director responsible for that restructuring of the Dealer Network, resigned some months ago – his successor, Fiat Group Automobiles UK Ltd’s Managing Director Andrew Humberstone, may well now have a real problem filling any remaining open points. It would be great shame to see another marque disappear, especially one as old as Alfa. I may be a supporter of British marques, but I think that a drawing a comparison between MG and Alfa Romeo is stretching the credibility of the brand too far. MG, to my mind (and I drive two MGs), is a troubled brand that has never really made much progress since the mid-Seventies. The MGB was dated by the mid-Seventies and loosing money on every car built, the MG saloons were quite clever in showing there was more to the MG name than just sports cars, but the traditional rose-tinted MG fraternity lambasted them – even examples like the MG Maestro which set a hot-hatch first by using a 2.0-litre engine when everyone else was stuck with either 1.6 or 1.8-litres – and the MG Metro Turbo was entertaining. The MGF showed some clever engineering, but was looking to appeal to all tastes rather than those with a love for driving – MG Rover Group’s efforts with the Trophy 160 SE edition and the updated TF showed what the car should have been from day one but the ZT260 showed no association with past MG saloon luminaries, just an obstinate excuse to put the MG name on a car that ideally should have been badged a Rover, for obvious reasons. The MG SV was a flawed and compromised £65,000+ supercar showed that the MG name did not have the magnetism to command appeal at such an elevated sector in the marketplace. The Alfa Romeo 8C, in comparison, is a much more appealing car that shows the Alfa Romeo name can command respect at over £100,000, even though their model range starts from around £14,000. Sorry, but MG has a troubled history with too many compromises. Moreover, it seems to be influenced more by the advice of two main MG Clubs that are predominantly full of rose-tinted enthusiasts who don’t really understand the harsh realities of the real automotive industry beyond the badge on the bonnet. I wish the new MG 6 well but it will take many years before MG will be in a postion to be regarded as Britain’s answer to Alfa Romeo – Alfa Romeo will, by then, have hopefully addressed their own shortcomings. This seams a rather bleak assessment of Alfa’s prospects as I understand that the MiTo is doing the business and selling well – you certainly see plenty of them on UK roads. The 147 replacement looks promising as well. I think it’s doing Alfa and Fiat a great disservice to compare them with MG! This article shows the brilliance of AROnline as a news and comments website. It would be nice if the MG Magnette were resurrected!!!! I echo Andrew’s comments above! I see what Marchionne might be getting at (I think) as the official news from Alfa always seems to take on a ‘dynamic new beginning’, ‘fresh start’ type of slant. I still feel that nowadays Alfa’s are more a marketing name than the true old Alfa’s that could be a pain but were very interesting, exciting cars at the same time. Still waiting for the return of Rover…! I love Brit cars. I love Jags, Landies, Triumphs, MGs, old Rover V8s etc. and have owned many over the years but, when it comes to the Alfas of old, it’s a whole new ball game. I have owned and loved a ‘Sud ti ,a 75 V6, a 155 2lt Twin Spark and a 145 TS and have loved them all for one reason and one reason only – PASSION. I have read and seen on TV many people try to explain why they love Alfas and I have tried hard to explain to people why I love them so much, so I will now give my latest version of why I love Alfas. 1) The quirky styling – I want my car to be slightly different and not just a badge that the marketing men have told me is badge to have eg Audi, BMW etc. – it also helps you find it in a big supermarket car park full of badges! 2) The Italian ape driving position – God love it – I’m 6’3” with short legs and long arms. 3) The engine – I doesn’t matter if it’s a 1.5 lt or a 3.0lt V6, they all sound great. 4) The steering and handling – The 145 had great steering on the go with a very quick rack but the turning circle of a oil tanker which made it a pain to park but it was a small price to pay and finding a easier parking spot usally meant a bit of a walk so good for the health. 5) Reliable? Yes, all of them but never 99% – there was always a chance of it letting you down every now and then, much like myself. The Graduate, that red Alfa and Mrs Robinson – both scarlet ladies and both very naughty and, after all, you only live once!!!!! Since the demise of MGR, the Fiat Group has been the only remaining car maker that I care about. Whatever they do, I really hope they get it right. Yes, that would be fantastic. No one would buy it and the company would be driven to bankruptcy again, but it would be nice while it lasted! Yes, I agree with this post.